Hunger often strikes between meals, and for kids especially, we need healthy alternatives to fill that hunger hole and add some nutrition at the same time. Snacking is part of a healthy diet. 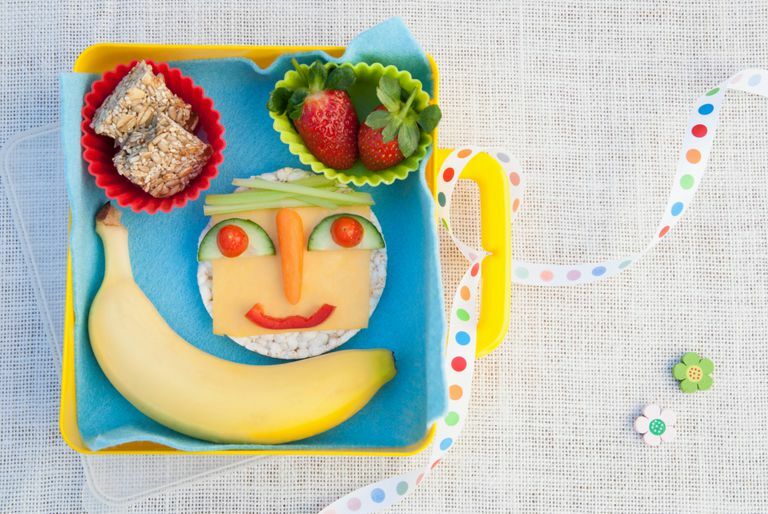 Keeping our hunger levels in check with healthy snacks helps us make healthy choices for our next meal. Here are some healthy snack ideas to get you started. 1. Hummus and vegetables: This is a great snack because there is so much variety in veggies and hummus flavors. Next time you’re at the grocery store, check out the many different types of hummus. Or better yet, find some great recipes for home-made hummus on-line. 2. Fruit and yogurt: This is another customizable snack option. Pick your favorite flavors or try something new. Pick a low-fat yogurt and be sure to find one with a lower sugar content as well. If you need to make it a little sweeter, add some jam or honey at home. 3. Baked tortilla chips and salsa: If you’re looking for a little spice or crunch, look no further. This snack has both! There are great options on the market for whole grain baked tortilla chips and plenty of healthy salsa options as well. 4. Low-sodium lunchmeat and low-fat cheese: This combination packs the protein punch. Just beware of the nutrition label on your lunchmeat. Find a low-sodium option. There are some really tasty ones available. 5. Air-popped popcorn: Skip the movie theatre and microwave versions. Air-popped is the way to go since you get all the flavor and none of the junk. And did you know popcorn is technically a whole grain? Flavor with olive oil, coconut oil, or even a little butter. Or try sprinkling a little parmesan cheese on. The healthy topping options are endless! 6. Apple slices and almond butter: This easy combination is filling and nutritious. Almond butter is a healthy, tasty alternative to traditional sugary peanut butters. And the flavor combination of the apples and almonds is awesome! 7. Fruit and cheese kabobs: This is a fun way to make snack time a little more exciting. Load up some skewers with strawberries, grapes, cheese cubes, melon balls, and anything else you can think of. Everything tastes better on a stick, right?! 8. Smoothie and whole grain toast: Smoothies are a great way to pack in fruits and veggies. Fill that blender with spinach, kale, berries, pineapple and anything else that sounds tasty. The flavor options are completely up to you. Enjoy one alone or add some whole grain toast to make it a little more filling. 9. String cheese and whole grain crackers: This classic snack can be filling and nutritious. Look for whole grain crackers with a good amount of fiber per serving (3 to 5 grams of fiber per serving is a good goal to start with). String cheese adds some protein and tastes great too. 10. Trail mix: This energy-packed snack can provide some pretty awesome health benefits, just be careful of the portion sizes. Nuts and dried fruits are calorie and nutrition packed, so portion out just the right amount before you start snacking. Include fruits and vegetables regularly. Fruits and veggies have nothing but health benefits attached. Snacks are a great opportunity to up your nutrition without adding empty, sugary or salty calories. Don’t eat while distracted. This means no zoning out in front of the television with a bag of your favorite snack. Focus on the flavors and how your body feels. You will be able to stop when you are satisfied and eat just the right amount. Plan to have healthy foods on hand. Add healthy snacks to your grocery list and you’re on the right track to improve your snacking habits. What Are the Best Breakfast Cereals for Kids?